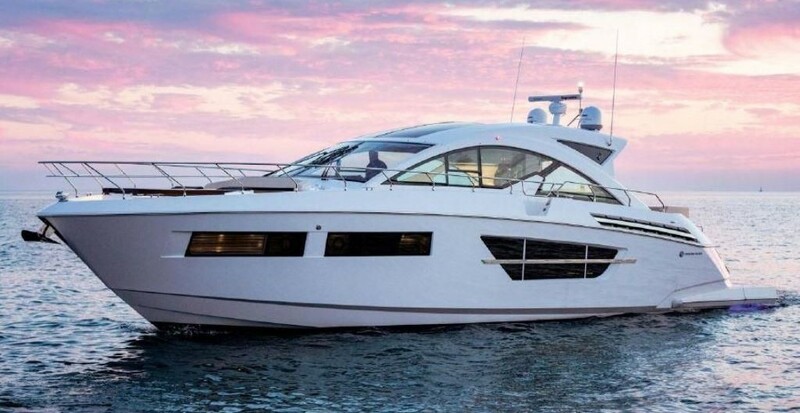 Beautifully maintained by a knowledgeable and experienced owner, you will be overwhelmed by the attention to detail & the numerous upgrades that have been made to this vessel.You will be amazed by the unrivaled quality and style. An enclosed cockpit with a walk through windshield allows safe access to the foredeck with its large sunpad. Dual stairways from the cockpit lead to the swim platform and a unique “Rumble seat”. Accommodations include Full Beam Master, 2 berth cabins each with private head, a complete galley and luxurious amenities that insure you and your guests a fabulous cruise. RECENT INSTALLATION OF YACHT CONTROLLER SYSTEM!